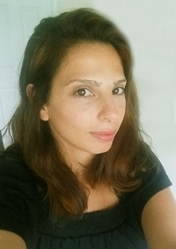 Danielle Katz Shenhar received her master's degree in Comparative Literature from Tel Aviv University. She also holds a B.A. in Hebrew Literature from Ben-Gurion University. In her work, she has written on Hebrew folklore in children's magazines. Since 2012, she has been very proactive in several nonprofit organizations such as The Jewish Federation and The Israeli American Council, to strengthen vibrant communities across the United States. In her Hebrew classes, she is determined to expose the students to the Modern Hebrew language and culture.